4151701 WB70A-1 KOMATSU WB70A-1 Backhoe Loader. Spare Parts Catalog. Service (workshop) Manual. Operator's Instruction Manual. 4151702 WB91R-1 KOMATSU WB91R-1 Backhoe Loader. Spare Parts Catalog. Service (workshop) Manual. Operator's Instruction Manual. 4151703 WB91R-2 KOMATSU WB91R-2 Backhoe Loader. Spare Parts Catalog. Service (workshop) Manual. Operator's Instruction Manual. 4151704 WB91R-5 KOMATSU WB91R-5 Backhoe Loader. Spare Parts Catalog. Service (workshop) Manual. Operator's Instruction Manual. 4151705 WB91R-5E0 KOMATSU WB91R-5E0 Backhoe Loader. Spare Parts Catalog. Service (workshop) Manual. Operator's Instruction Manual. 4151706 WB93R-1 KOMATSU WB93R-1 Backhoe Loader. Spare Parts Catalog. Service (workshop) Manual. Operator's Instruction Manual. 4151707 WB93R-2 KOMATSU WB93R-2 Backhoe Loader. Spare Parts Catalog. Service (workshop) Manual. Operator's Instruction Manual. 4151708 WB93R-5 KOMATSU WB93R-5 Backhoe Loader. Spare Parts Catalog. Service (workshop) Manual. Operator's Instruction Manual. 4151709 WB93R-5E0 KOMATSU WB93R-5E0 Backhoe Loader. Spare Parts Catalog. Service (workshop) Manual. Operator's Instruction Manual. 4151710 WB93S-5 KOMATSU WB93S-5 Backhoe Loader. Spare Parts Catalog. Service (workshop) Manual. Operator's Instruction Manual. 4151711 WB93S-5E0 KOMATSU WB93S-5E0 Backhoe Loader. Spare Parts Catalog. Service (workshop) Manual. Operator's Instruction Manual. 4151712 WB95R-1 KOMATSU WB95R-1 Backhoe Loader. Spare Parts Catalog. Service (workshop) Manual. Operator's Instruction Manual. 4151713 WB97R-2 KOMATSU WB97R-2 Backhoe Loader. Spare Parts Catalog. Service (workshop) Manual. Operator's Instruction Manual. 4151714 WB97R-5 KOMATSU WB97R-5 Backhoe Loader. Spare Parts Catalog. Service (workshop) Manual. Operator's Instruction Manual. 4151715 WB97R-5E0 KOMATSU WB97R-5E0 Backhoe Loader. Spare Parts Catalog. Service (workshop) Manual. Operator's Instruction Manual. 4151716 WB97S-2 KOMATSU WB97S-2 Backhoe Loader. Spare Parts Catalog. Service (workshop) Manual. Operator's Instruction Manual. 4151717 WB97S-5 KOMATSU WB97S-5 Backhoe Loader. Spare Parts Catalog. Service (workshop) Manual. Operator's Instruction Manual. 4151718 WB97S-5E0 KOMATSU WB97S-5E0 Backhoe Loader. Spare Parts Catalog. Service (workshop) Manual. Operator's Instruction Manual. 4151719 WB98A-2 KOMATSU WB98A-2 Backhoe Loader. Spare Parts Catalog. Service (workshop) Manual. Operator's Instruction Manual. 4151720 WB140-2 KOMATSU WB140-2 Backhoe Loader. Spare Parts Catalog. Service (workshop) Manual. Operator's Instruction Manual. 4151721 WB140-2N KOMATSU WB140-2N Backhoe Loader. Spare Parts Catalog. Service (workshop) Manual. Operator's Instruction Manual. 4151722 WB140-2T KOMATSU WB140-2T Backhoe Loader. Spare Parts Catalog. Service (workshop) Manual. Operator's Instruction Manual. 4151723 WB140PS-2 KOMATSU WB140PS-2 Backhoe Loader. Spare Parts Catalog. Service (workshop) Manual. Operator's Instruction Manual. 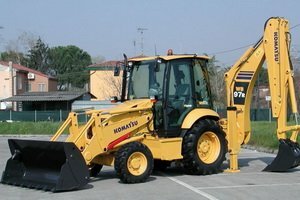 4151724 WB140PS-2N KOMATSU WB140PS-2N Backhoe Loader. Spare Parts Catalog. Service (workshop) Manual. Operator's Instruction Manual. 4151725 WB142-5 KOMATSU WB142-5 Backhoe Loader. Spare Parts Catalog. Service (workshop) Manual. Operator's Instruction Manual. 4151726 WB146-5 KOMATSU WB146-5 Backhoe Loader. Spare Parts Catalog. Service (workshop) Manual. Operator's Instruction Manual. 4151727 WB146PS-5 KOMATSU WB146PS-5 Backhoe Loader. Spare Parts Catalog. Service (workshop) Manual. Operator's Instruction Manual. 4151728 WB150-2 KOMATSU WB150-2 Backhoe Loader. Spare Parts Catalog. Service (workshop) Manual. Operator's Instruction Manual. 4151729 WB150-2N KOMATSU WB150-2N Backhoe Loader. Spare Parts Catalog. Service (workshop) Manual. Operator's Instruction Manual. 4151730 WB150AWS-2 KOMATSU WB150AWS-2 Backhoe Loader. Spare Parts Catalog. Service (workshop) Manual. Operator's Instruction Manual. 4151731 WB150AWS-2N KOMATSU WB150AWS-2N Backhoe Loader. Spare Parts Catalog. Service (workshop) Manual. Operator's Instruction Manual. 4151732 WB150PS-2 KOMATSU WB150PS-2 Backhoe Loader. Spare Parts Catalog. Service (workshop) Manual. Operator's Instruction Manual. 4151733 WB150PS-2N KOMATSU WB150PS-2N Backhoe Loader. Spare Parts Catalog. Service (workshop) Manual. Operator's Instruction Manual. 4151734 WB156-5 KOMATSU WB156-5 Backhoe Loader. Spare Parts Catalog. Service (workshop) Manual. Operator's Instruction Manual. 4151735 WB156PS-5 KOMATSU WB156PS-5 Backhoe Loader. Spare Parts Catalog. Service (workshop) Manual. Operator's Instruction Manual.